The Psychology Department focuses on preprofessional preparation for a combination of research and applied work. 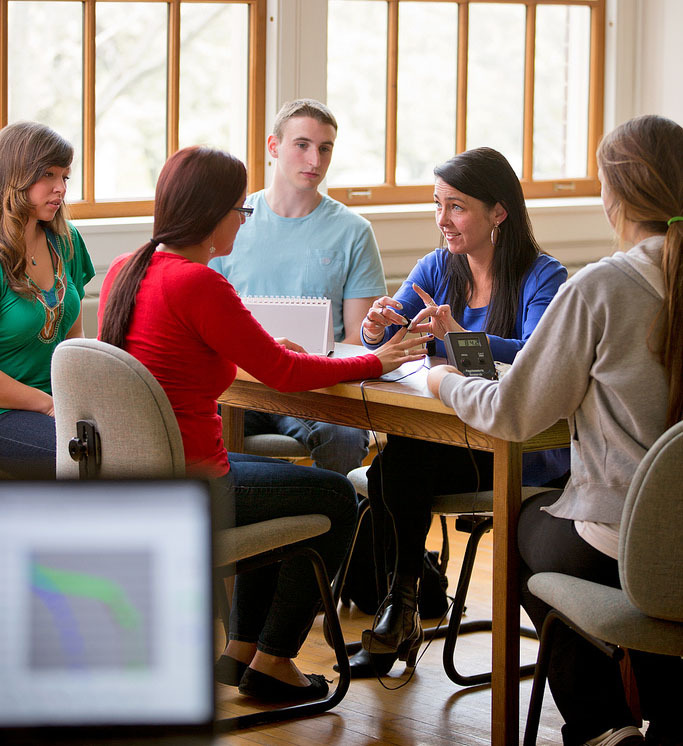 In addition to providing a strong liberal arts focus for majors who are not going beyond the bachelor's degree, the program is designed to provide a solid foundation for graduate school training in psychology. Successful students graduate ready for entry-level positions helping others or to pursue master's and doctorate degrees. Psychology majors have opportunities to work with faculty on research projects and/or develop their skills in the field, working with psychologists and agencies dedicated to helping others. The aim is to help majors attain skills that prepare them for work in organizations, therapeutic settings, and research.